The NH School Safety Resource Center is a direct result of the NH Governor's School Safety Task Force's recommendation 49 to "establish and maintain a complete and centralized school safety preparedness online resource center to make it easier for schools and interested parties to access relevant information." The goal of the NH School Safety Resource Center is to assist educators, emergency responders, community organizations, school mental health professionals, parents and students to create safe, positive and successful school environments for students in all New Hampshire schools. Visit the site to get up-to-date, relevant resources for subject matter such as violence and bullying prevention, suicide/behavioral health or safety/emergency response planning. New resources are always being added so check back often. 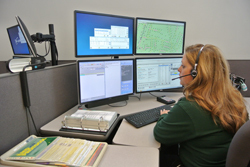 Telecommunicators are the lifeline for 9-1-1 emergency callers...they are the 'Help Until Help Arrives'. Congratulations to Val Shean and Marti Dennerly for being inducted into the IAED Stork Club. 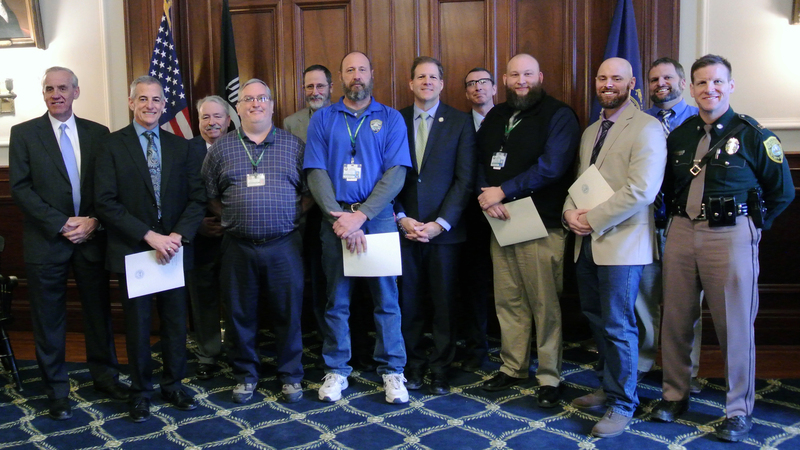 On Wednesday, January 23, 2019, Governor Chris Sununu and the Executive Council recognized the hard work of several Division employees; Joshua Mann, Timothy Martineau, Jedediah Jackson, Paul Connolly and Jarod Guay. They were recognized for their collaborative work in finding a solution that saved a considerable amount of money for the state during their work on the P25 radio project. The team was nominated for this Extraordinary Service Award for their collaboration (cost savings of $600,000) which resulted in a solution for network monitoring. We are all proud of this recognition and the amazing work they continue to do on this project. Congratulations! 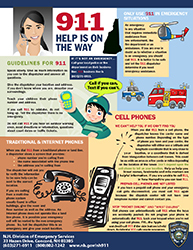 Caller Location is critical in 9-1-1 Emergencies. 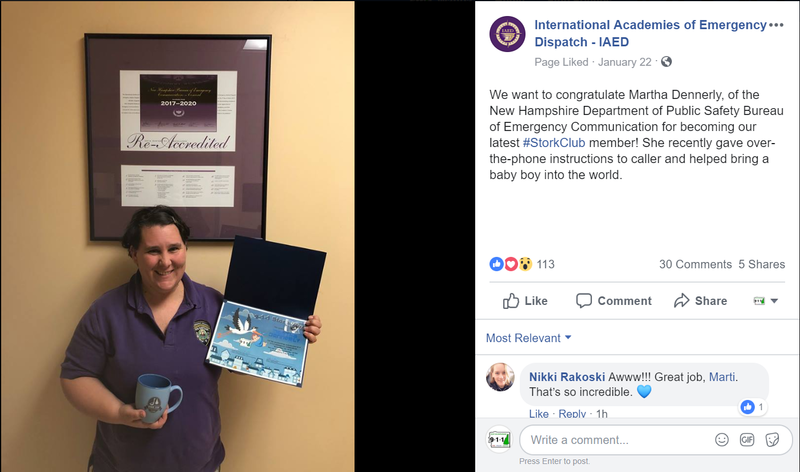 Lakes Region General Healthcare produces a 9-1-1 public service announcement. The location of an emergency is very important. When calling 9-1-1, please pay attention to your surroundings and provide the 9-1-1 call taker with street names and house numbers, route numbers or interstate mile markers. The National Emergency Number Association has released new Text-to-911 videos for the Deaf, DeafBlind, Hard of Hearing & Speech Disabled. However, the videos are pertinent for everyone. Please share them in your community. 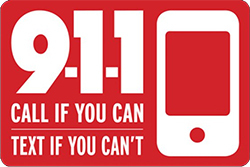 Text-to-9-1-1 allows residents in dangerous situations who are unable to risk the noise of a call to send a text for help. This will help save lives and must be used responsibly. 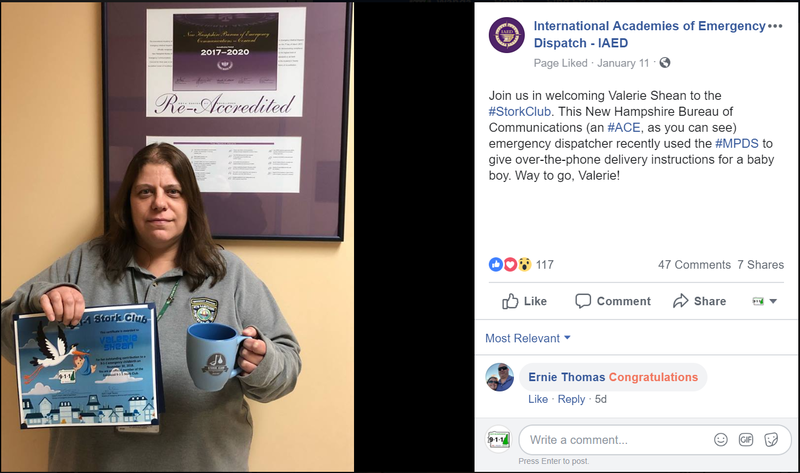 Texting should only be used when a voice call is not possible, as voice calls provide an advantage by allowing the 9-1-1 operator to more quickly assess the type of emergency and the location of the emergency. Text-to-9-1-1 messages cannot be received if there are multiple message recipients or if pictures, videos or emoticons are used. Text-to-9-1-1 is FOR EMERGENCIES ONLY!